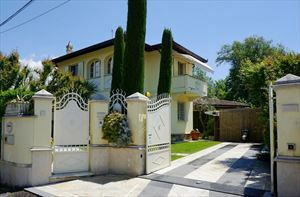 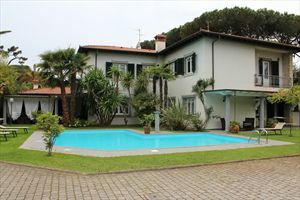 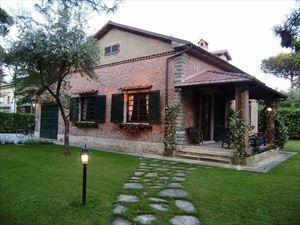 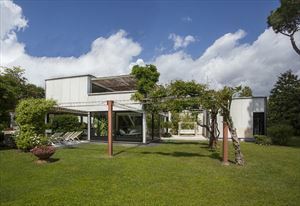 Charming and appealing villa located in the centre of Forte dei Marmi only 300 mt from the seaside. 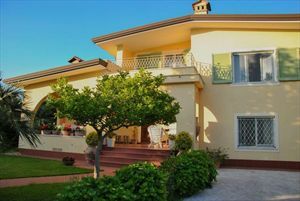 The villa involved in a nice garden, gives an immediatly sunny emotion to the guest: the external hot colours and the care used for each interior space, is a symbolof a welcoming holiday 's home. 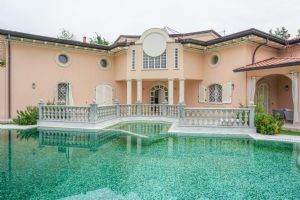 Ground floor: external sun terrace,main hall entrance, large salon with view on the garden,professional kitchen, dining room, bathroom,1 double bedroom. 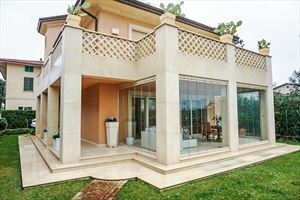 First floor is envolved in large external balcony , that introduce in 4 double bedrooms and 4 bathrooms. 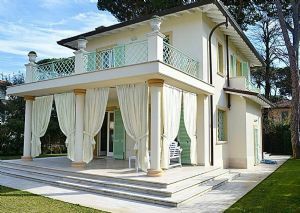 The propriety is wrapped by an allarm system that controls all over.